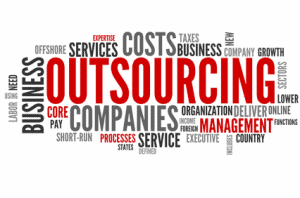 Not all things are created equal and this is so true in the outsourcing market. If you want to outsource your standard Australian accounting, SMSF and audit work you have to be very careful of the provider you use. After all, this is your core, staple work you are giving to someone else to do. If you want the work done to a good Australian standard what better way of verifying this than taking a look at credentials of the offshore and Australian-side operation. Are the accountants doing the work fully-qualified or part-qualified CA or CPA accountants? Who is the Managing Director on both sides of the water and what credentials do they have that demonstrate they can run an “Australian like” operation and deal with Australian tax and law competently? What steps does your outsourcing provider take to keep your data secure? Who has access to your client’s data? What options are there if you don’t want the outsourcing provider to have any data kept locally? Make sure the firm you use does absolutely everything they can to ensure your data is safe. With over eight years of experience in outsourcing, we know one of the key factors that impacts on the success of using an accounting outsourcing firm, is the communication that takes place. When the pressures on you want things to get done with the minimum of fuss. For efficiency and effectiveness, once a job is passed to the provider, the accountant in the outsourcing firm should be in direct contact with your accountant who in turn interfaces with your client about queries. This should be both email and via the phone and even instant messaging (Skype is ideal for free overseas calls and instant messaging – even sharing your computer screen if you need to). Any extra layers or barriers will slow things down and create headaches. Think about how you work in-house: when you want to quickly check something with your colleague you just walk over (or shout over!) to get a quick answer. If your outsourced accountant can be reached via Skype just as easily and so can you, then the flow of communication is the same as it is in-house. We also recommend having daily team meetings to check on progress of jobs, issues and problems etc. What happens to a job that you pass over to the offshore firm? How do you keep track of it? What can you do to expedite jobs if you need urgent work done? You shouldn’t feel like you are losing control when you handover a job. Being able to communicate directly with your outsourced accountant is important but in addition there should be a mechanism to monitor jobs and performance effectively. The system should be at least as good as if not better than what you use with your in-house team. If your outsourcing provider works on your network and you have a workflow system and timesheets then ideally they should use that system too. If this facility isn’t available, then your outsourcing firm should have a standard WIP or workflow system that is visible any time and provide timesheets so you can monitor, control and manage jobs just like you do in-house. 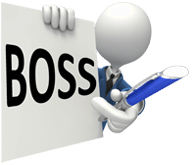 At BOSS, if we don’t use your workflow system, we provide you with access to an online WIP to help you manage jobs and monitor our performance. To get the most out of an outsourcing arrangement you need to collaborate closely. Collaboration is where your outsourced accounting team work as if they are working in-house. That is they use your procedures, your working papers so they work just like your current staff. This means it is easy for you to review work and be comfortable everything is being done exactly how you want it done. You can take the collaborative approach even further. So, for example, if an in-house accountant typically looks for value-add opportunities whilst doing a compliance job then that is what you coach your offshore accountant to do. This level of synergy gives you the highest possible value out of your outsourcing firm – there are no compromises how you work just because you outsource accounting work. We call this collaborative approach IN-Resourcing and it is just like having your own dedicated staff member, they are just working in a separate office. Now, here’s the rub – very few outsourcing firms can truly offer this collaborative approach and even fewer can offer the option of adding a casual accountant to help out for those busy time of year.